Moles are commonly mistaken for rodents. But they are part of a group of mammals known as insectivores similar to anteaters, armadillos, and aardvarks. Moles eat insects, which may seem like a natural form of pest control, except for the tremendous damage they do to your lawn and garden. Yard Moles create two types of tunnels. One tunnel network is just beneath the surface. It appears as a raised ridge a mole uses for feeding. The second type of deeper tunnels forms a mole’s living area. A yard mole’s activity and their network of tunnels produce noticeable mounds of dirt (molehills) that destroy your property. 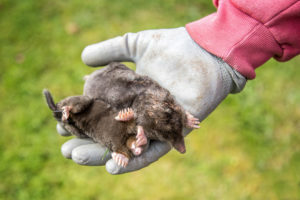 The number of visible tunnels or molehills in your yard is not an indication of the number of moles that have infested your property. This presents a challenge in determining which tunnels are active. In addition, moles abandon tunnel runways frequently. 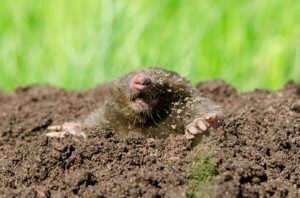 Noticeable surface damage to your yard is alarming, but it is what happens unseen that makes yard mole removal necessary. Roots of flowers, plants, and shrubs hang exposed in the tunnels, causing them to dry out and die. A mole’s diet includes earthworms, which are beneficial to your lawn and plants. The yard mole can dig up to 100 feet of tunnels a day, creating uneven and weak spots in your yard. Abandoned tunnels welcome snakes, mice, and other unwanted pests. Croach® is skilled in yard mole control specific to the Seattle area. We are determined in our war against unwanted pests on your property while keeping the safety of your family and home our priority. Experienced trapping is usually the best method. Spike traps must be placed effectively and persistently. Bait methods are sometimes used as well. Your technician will consult with you on a customized treatment plan. 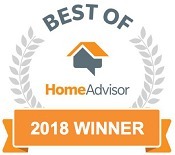 Contact us today for a free estimate consultation.